The FIA World Rally Championship (WRC) pits cars and drivers in a series of three-day events against some of the toughest, and most varied, conditions on the planet - from the ice and snow of Scandinavia to the stifling heat of Greece - over surfaces ranging from smooth tarmac to boulder-strewn rocky tracks. 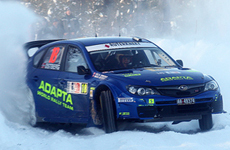 Because the conditions are so varied and unforgiving, cars visit a 'service park' at pre-determined times during each event. Besides interrogating data from the on-board data systems, changing tyres and making running adjustments, during this time a team of four technicians is allowed to perform mechanical work on each car. The time available is strictly limited, with each stop being either 10, 30 or 45 minutes depending on the itinerary. At the end of each season, the FIA awards the winning driver and winning manufacturer with the WRC championship title. 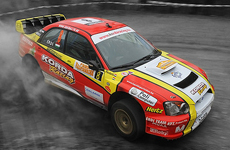 All cars competing at the top level of the WRC are based on four-cylinder two-litre production cars. But although they look similar to the ones in a high street showroom, changes allowed to the engine, transmission and suspension, mean a WRC car is a turbocharged, four wheel drive monster that develops around 300bhp and masses of torque. Inside a WRC car there is no fancy upholstery or elaborate trim - just painted metal, composite panels and two carbon fiber seats that are tailored to the driver and co-driver. 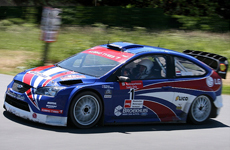 Rally rules allow spoilers and other aerodynamic aids that you will not see on a road car. 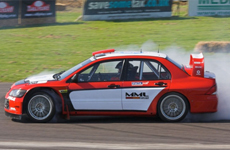 The result is a car that reaches 100kph in around three seconds on all surfaces and can - in the right hands - power slide between the trees on a narrow gravel track under full control at 200kph-plus. 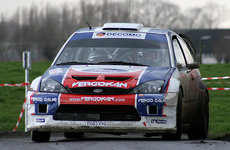 The World Rally Championship is with good reason extremely popular in Europe. 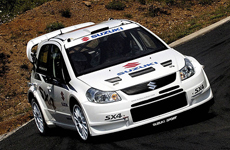 Reason enough for Suzuki to release a limited edition of their SX4 'Urban Cross Car' with a WRC theme. 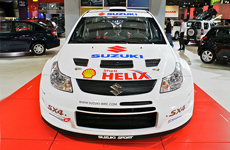 Suzuki Germany will build 500 numbered copies of the SX4 WRC with 1.6 liter, 107 hp gasoline engine with a price tag of Euro 19,500. For this money you get an SX4 with rally design and Suzuki Accessories like 16 inch wheels (205/60 R 16), body kit consisting of a new front, side and rear spoilers, sport grille and carbon-look details. Inside Suzuki fitted a leather shift knob and carbon details joining the regular features like CD-Radio-Navigation system, privacy glass and key-less Entry and Start. 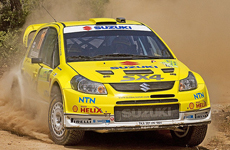 For Suzuki, the move into WRC was short-lived. 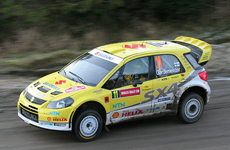 It first entered the World Rally Championship just this year with two SX4's and finished fifth in the manufacturers standings. 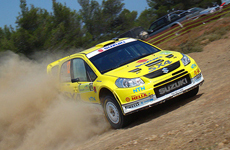 Suzuki cited the global economic turmoil and the precipitous decline in auto sales as the reason they are pulling out of WRC racing. 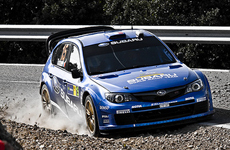 Suzuki WRC fans have something to cheer about for the first time in four months. 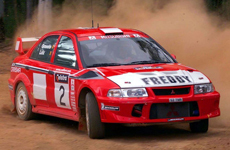 Yes, it's been that long since the Japanese automaker announced it would with draw from the World Rally Championship, but now it seems they may already be planning a return. The most visually distinguishing element, and the first thing people will notice about the Impreza WRC2008, is the radically restyled bodyshell. No longer the iconic saloon of old, which captured the hearts of so many and sculpted a following of die-hard enthusiasts, the first five door Impreza World Rally Car mimics Subaru's latest road-going incarnation. 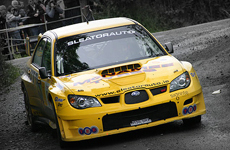 Launched to critical acclaim, it is also the first Impreza World Rally Car to not sport Subaru's trademark bonnet scoop. The car retains a front-mounted intercooler and the air intake takes the form of an internal scoop fed from a grill in the front bumper. 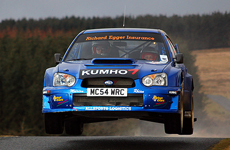 Continuing the trend of parallel development between the Impreza World Rally Cars and Subaru's road-going counterparts, Petter Solberg and SWRT engineers were jointly involved with the creation of the Impreza STI road car from its infancy. The car was designed from the outset with consideration as to its suitability as a future rallying contender. 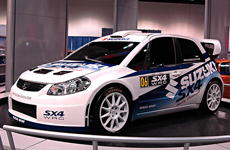 The longer wheel base, shortened overhangs and improved aerodynamics visible in the new car were all incorporated by Subaru Accessories for the benefit of both the production and World Rally variants. 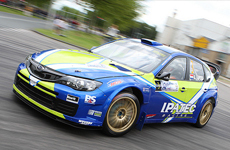 SWRT then assessed the performance of every component and element of the car to optimise the centre of gravity and weight distribution, shedding any limitations or constraints carried across from the outgoing Impreza. 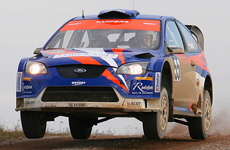 Revised and refreshed, the WRC2008's powerplant is the only element not to have been radically reworked due to the World Rally Championship regulations. Nevertheless, the two litre flat-four's manifolds, the coolant and intercooler systems and ancillaries have been redesigned to nestle within the confines of the new engine bay. Ford of Europe revealed the exciting new look for its 2008 FIA World Rally Championship campaign as the team was unveiled at the Autosport International Show in Birmingham. The Focus RS World Rally Car, which powered Ford Accessories & Parts to the manufacturers' world title in both 2006 and 2007, sports a striking modern livery that took centre stage today at Europe's largest annual motorsport exhibition. 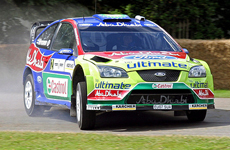 It was also announced that the squad will be named the BP Ford Abu Dhabi World Rally Team for 2008. The team's new driver line-up of Mikko Hirvonen and Jari-Matti Latvala were joined by Ford of Europe's new motorsport director, Mark Deans, and team director Malcolm Wilson as they revealed the Focus RS WRC's colour scheme for the first time. "The Focus RS WRC has a new, contemporary livery which blends perfectly with the outlook of the BP Ford Abu Dhabi World Rally Team," explained Deans. "This is our first full season in partnership with BP and the Abu Dhabi Tourism Authority and their importance to our WRC program is reflected in the team's new name and their prominence on the car. An explanation may be needed for Mitsubishi names and Lancer model identification. 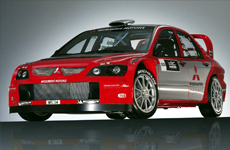 Throughout the Lancer Evo versions, there have been so far 3 different models/generations of Lancer. Completely different than any other car manufacturer, Mitsubishi carries on counting Evo numbers respectable of model changes among Mitsubishi Accessories. The EvoI-III is known as the Lancer everywhere. The EvoIV-VI changed name to Carisma in Europe and even was rallied under both names, Lancer & Carisma. From EvoVII Lancer replaced the Carisma name in Europe while in Japan the Lancer name was abandoned for Cedia. 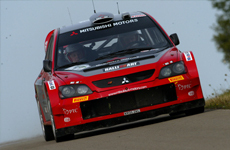 One year later Mitsubishi was back with a new team, a new engineer and a new car. In fact the car was still based on the same road car model, such there is, well, the same base. 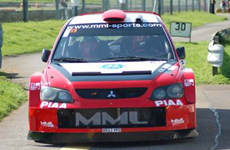 But Mitsubishi had addressed about every single area of the car. 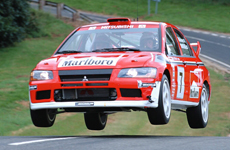 The Lancer WRC04 and the Lancer WRC Step2 of 2002 share the very same base, but the differences may be just as big as they were between their last gA and first WRCar.